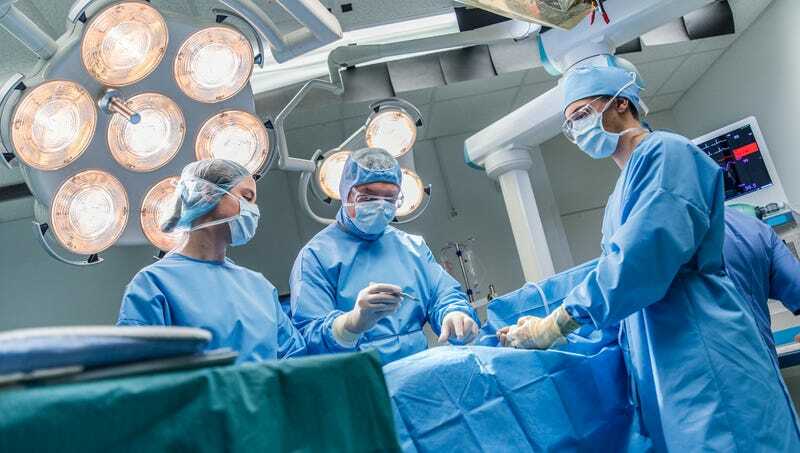 BALTIMORE—In a groundbreaking procedure that experts say may change the future of medicine, doctors at Johns Hopkins Hospital announced on Monday that they had performed the first successful surgery on a broken thumb. “Just five years ago, we never would have dreamed it possible to repair a fracture in the small bones of the thumb, but today, we stand here proud to have performed nothing short of a medical miracle,” said Dr. Janice Otero, who led the team of 10 orthopedic surgeons during the unprecedented 16-hour operation to rejoin the broken segments of a tiny phalange in the first digit of the hand. “With a breakthrough like this, who knows what else might one day be possible? Multiple fingers? A broken toe? We are truly at the edge of a whole new frontier.” Doctors later reported that the patient with the repaired thumb had died from an infection, but said such tragedies would be less frequent as the radical surgery gradually became more common.